The snow is forecast, the fat bikes have been dusted off. Hello winter biking season, we're ready for you! We’re officially on the count down to Christmas and we’ve got a big snowfall forecast for this weekend so that means the winter biking season is almost upon us. We’ve got the fat bikes out of the cellar so they’re ready to feel the soft crunch of fresh snow beneath their massive tyres once again. We’re hoping to get a little further a field on the fat bikes this season and explore some other areas. 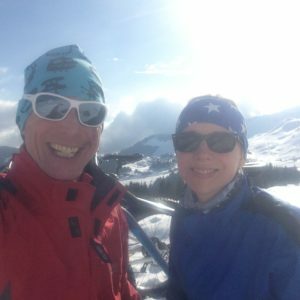 Starting this month with Goms in the Rhone valley where they have a network of pisted fat biking trails. 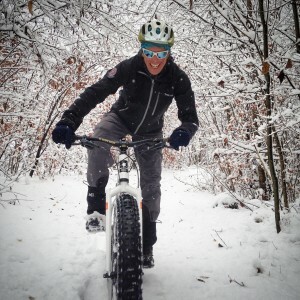 There is a strong history of cross country skiing in Goms and cross country skiers and fat bikers often use similar trails so they have been very proactive about expanding their existing trail network to include fat bikers. 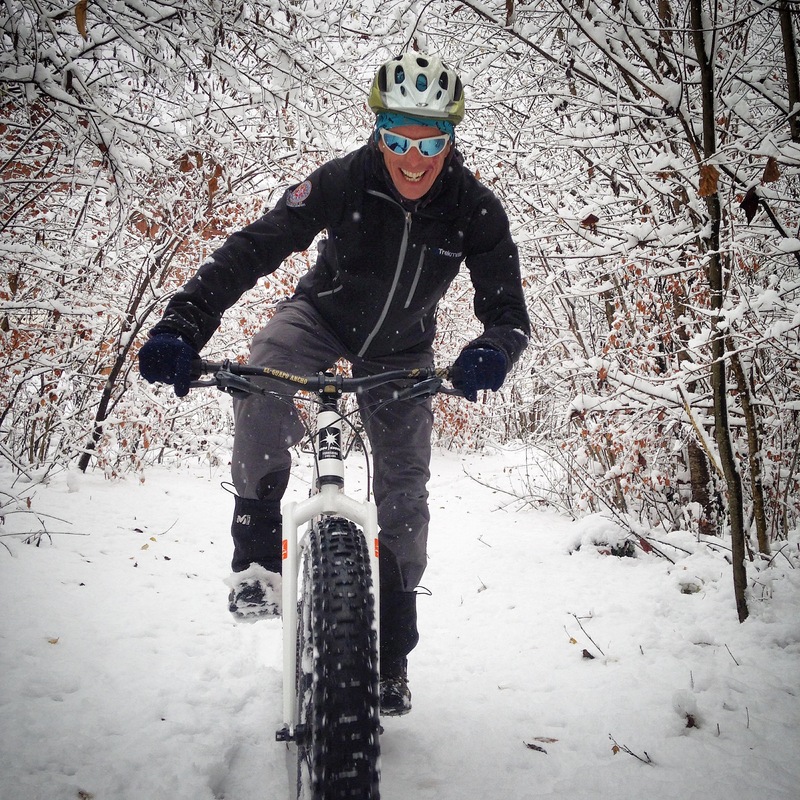 Fat biking continues to grow steadily in popularity. We had Global Fatbike Day on the 1st December. We were still waiting for snow so Jamie and I celebrated by dusting ours off! There is the Snow Bike Festival in Gstaad, Switzerland from 24th-27th January, which is now officially recognised by the UCI making it the world’s first and only UCI race on snow. An increasing number of resorts are opening themselves up to fat biking with over 30 resorts in the Alps now offering it as a winter activity. Villars, also in Switzerland, even has a 4km slope for the exclusive use of fat bikers! In our very own Giffre valley there are many trails available for fat biking. We still don’t have the authorisation to take the bikes up on the lifts but there’s always the cheeky possibility of using the van for an uplift and getting the last run down of the day once all the skiers have gone home! If you’re tempted to come out for a long weekend of fat biking this winter, get in touch. You can find out more on the fat biking page on our website or contact Mary for more details. 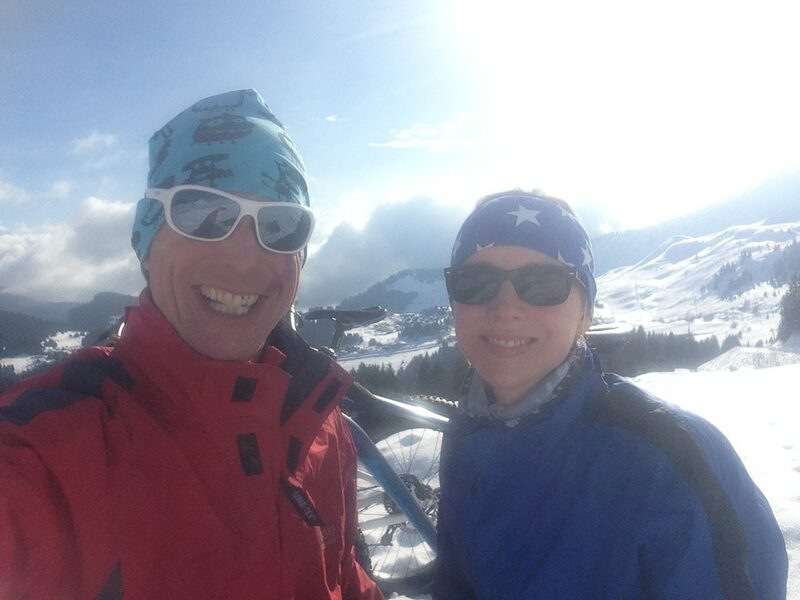 The must-have accessory for any winter sport, including fat biking, is a headband to protect your ears from the cold. Jamie and I have an extensive collection of Popcorn Vintage headbands that we use all winter long and on high alpine days in the summer. When you’re blasting downhill with the wind whistling through your helmet, a popcorn vintage headband offers the ultimate protection. Popcorn vintage headbands are handmade in Samoens by Asa. We like them so much we asked Asa to make us up a plain batch of different colours that we are getting printed with our Ride the Alps logo. If they’re ready for Christmas we’ll let you know because they make the perfect stocking filler. Happy winter biking season everyone!